Journey with us as we head back to that most famous of battles and relive the epic moments through the eyes of 2 people who were there! 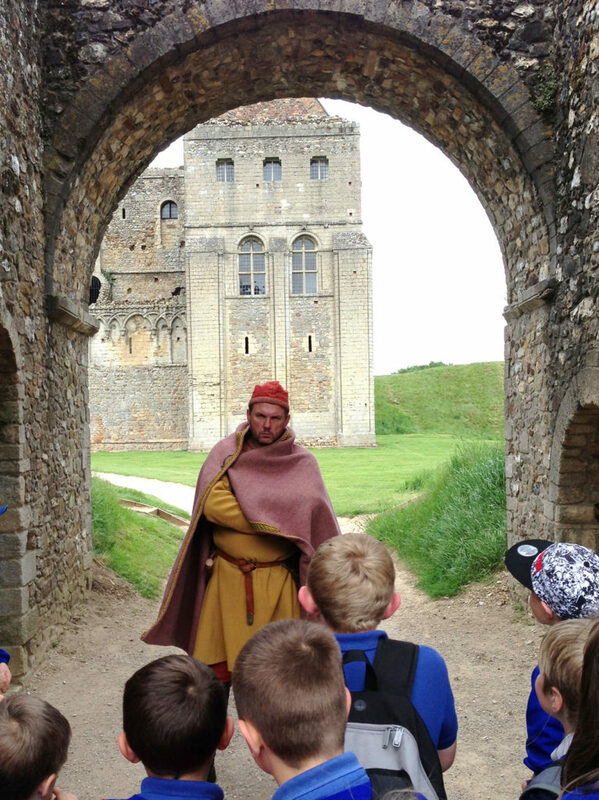 Our typical day includes studying key elements of the Bayeux Tapestry and re-enacting them with the children dressed up as Knights and major characters from both sides. Examine weapons, real armour and tactics. have-a-go activities such as: archery, striking a coin, grinding corn, firelighting with flint & steel, understanding food & diet, plus comparisons with our lifestyle today.